If you haven’t officially met, some of you have at least seen her busily flitting from place to place at any given jewelry show, her lovely, bubbly personality magnetic from even afar. 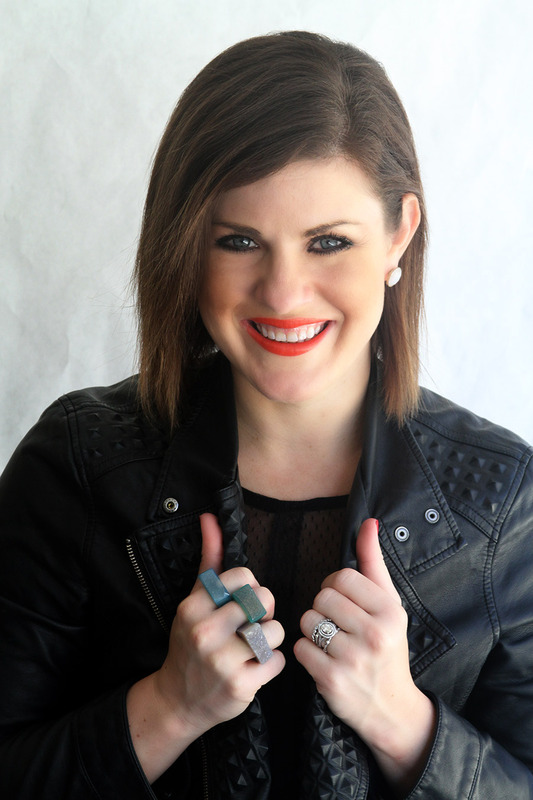 As the managing director at Luxury Brand Group (LBG), a full-service brand communications agency specializing in fine jewelry, Cullen Williams is indispensable to the industry, connecting brands, journalists, and consumers all together. 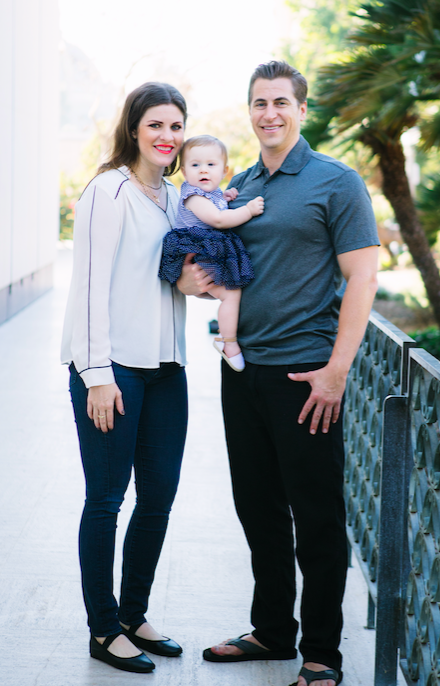 A beloved figure in the industry, this brand-new mama has plenty of other responsibilities too, from her involvement with the Women’s Jewelry Association (WJA), helming a recently-founded local community of moms, and working with her husband on his business, a local branch of gyms. And we did mention she recently had a baby, right? An inspiration to all, this is Jen Cullen Williams. Give us a quick overview of how you got into the jewelry business. Jen Cullen Williams: The short: Craigslist circa 2007. The long: I worked for a fashion public relations agency in Hollywood when I first graduated from college in 2006. I had a crazy long commute from Orange County (where I still live), and I felt something was missing in my emerging career. I made the impulsive move to quit my job and begin hunting for positions closer to home. I applied to a posting I spotted on Craigslist for an entry-level marketing coordinator position at Luxury Brand Group (LBG) in early 2007. I thought it was just going to be a short-term job while I sought out other positions in the fashion realm, but I quickly became immersed in the jewelry world, especially after attending JCK Las Vegas that same year. LBG’s CEO and president, Frank Proctor, was so incredibly open to sharing his knowledge of the industry, and I observed his calm and strategic approach to marketing and business. I knew I had found the right place to develop a career as a young professional. I was hooked after a few weeks of working at LBG. As a new mom (congratulations! ), we’re thrilled to get your perspective on the early stages of going back to work. What has been your biggest challenge so far? 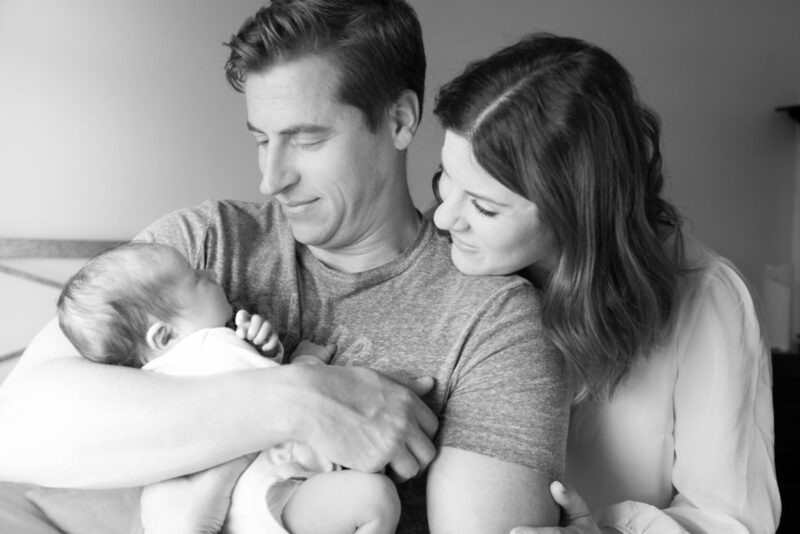 JCW: There are definitely a lot of emotions that ensue when you are a new mom, and you feel the internal pressures to work at the same levels before you had baby in your life. Yet, once you become a mother you instantly become a new person with a newfound deep love and the profound responsibility of caring for your baby. I’m fortunate that I’ve been able to work on a more flexible schedule and work from home 2-3 days week, then in the office the other days. The first few weeks saying goodbye to my 3-month old baby caused a lot of guilt and motherhood FOMO— “what will I miss while I’m away?” Now that I’m several more months in, I’d say the challenge is juggling priorities and how to manage my time with family and work. From a physical standpoint, the biggest challenge is sleep (and lack thereof) at times. Babies have ups and downs with their sleep habits, and for a few weeks she’s sleeping through the night and then there’s a sleep regression and she’s up 3-4 times. It’s unpredictable which makes managing time an even greater challenge. Aside from your work with PR firm Luxury Brand Group, you’re also an active member in the Women’s Jewelry Association. Have you found that you’re taking on the same amount of responsibilities since baby? JCW: I’ve tried to scale back on extracurricular activities, but to be perfectly honest, I think I’m doing about the same. I’m a 100%, all-in type of person, so it’s just in my nature to be really involved and social. 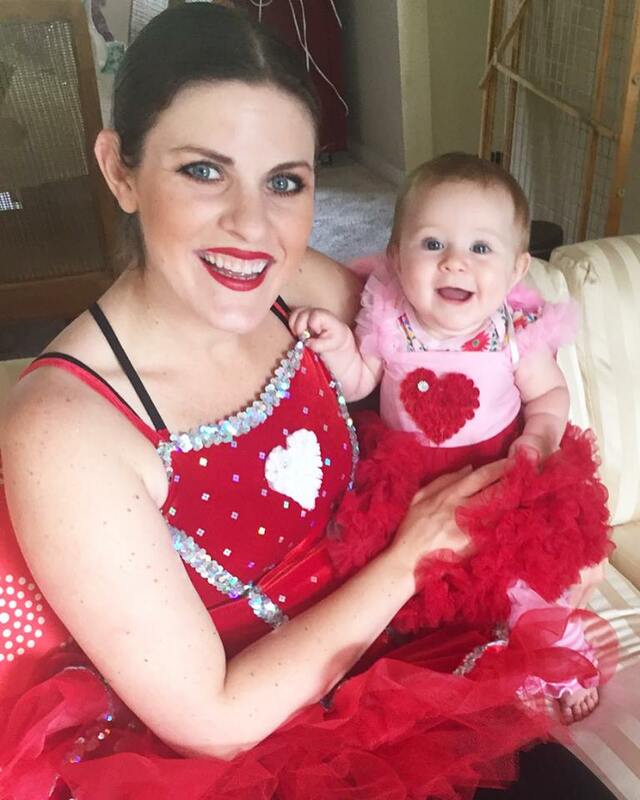 During my maternity leave, when Kira was only 4 weeks old, I started a local mom group on Facebook called MAMA Tribe with two friends. We each invited local friends that were also moms or pregnant. 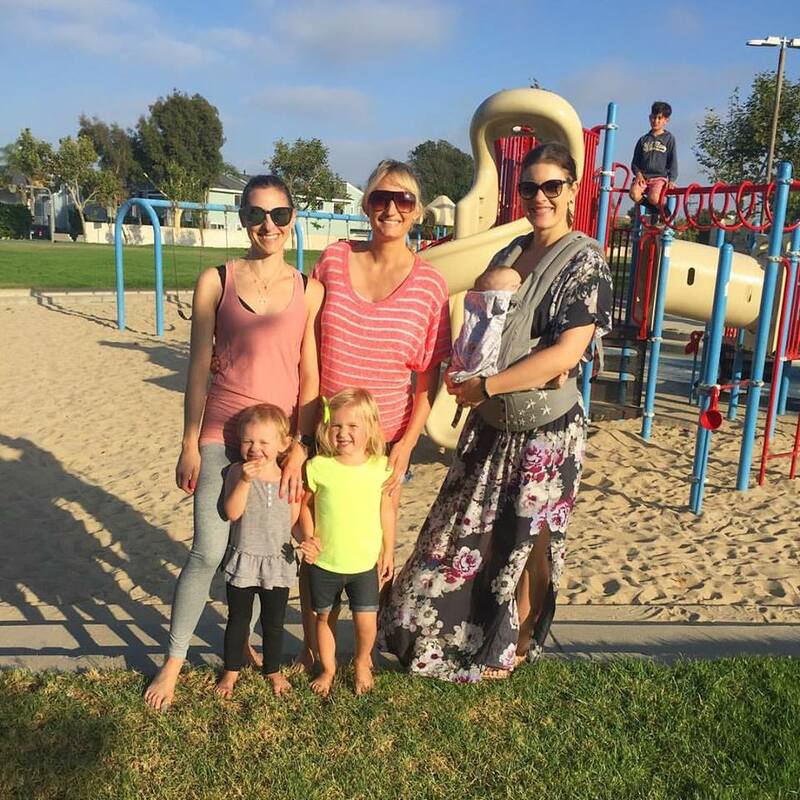 We organized networking play dates and meet-ups in the Orange County area, and few activities like “Mama’s Wine(d) Down.” It has been so enriching, empowering, and beneficial to chat with other moms from all walks of life. I’m usually up by 7:00 a.m. answering emails to get a jump on the day, especially since many of my clients are Europe- and New York-based. I handle the social media for my husband’s three private gyms as well as the WJA Los Angeles Chapter, so I try to get posts up early in the day, otherwise I’ll do it at lunch or in the evening. Once Kira awakes, typically around 8:00 a.m., I frantically get ready while she plays, crawls and puts everything in her mouth. Some days I’m in our LA Office or our OC office, and other days I work from “home” which means I work from my parent’s house, while they watch Kira and I work in their home office. On Fridays, I work from my house, and my sister comes over and watches Kira for half the day and my husband comes home and watches her for a partial day. A “typical” day is spent answering emails from editors and clients, checking in on projects with the LBG NY and LA teams, conference calls, and attempting to ‘slay’ the to-do lists. If I’m working from home, I take short breaks to play with Kira as well as nurse her. I’ll usually work until about 7 p.m. and I’ll often work later in the evening to prepare for the next day. Once Kira is down (ideally by 9 p.m.), my husband and I work on marketing plans for his businesses. We do a lot of brainstorming on new ideas, promos, and things we can do to market the gyms within the local communities where they are located. All-in-all my workdays are long… but my breaks with Kira are meaningful. I feel so fortunate and grateful to have the continued support and love of my now retired parents who are helping to raise Kira, and I still get to be there for most of it. It truly takes a village. How has baby changed your routine on any given day? I find myself asking “WHAT DID I DO WITH MY TIME BEFORE KIRA?” The answer is, I spent too much time doing things that did not really matter like taking forever to get ready, watching TV, brunching, or pushing off chores because I could do it later. As many of your moms have mentioned in previous posts, I’ve become much more efficient with my use of time, personally and professionally. While Kira naps, I call it my “power hour,” and I try to crank out as many emails or tackle the projects that require full attention. I don’t have the luxury of time anymore, so when I have childcare from my parents, I must utilize. I also remind myself that it’s important to take breaks during the day to let my brain recharge. Instead of taking a one-hour lunch break, I take a few interval breaks to spend time with Kira and to give my parents a little rest time. How has the baby changed your priorities when it comes to business? JCW: I’ve always been a hard worker, slight perfectionist, and known to go the extra mile (or two or three). While my work ethic and drive to go above and beyond is something LBG’s clients, my boss, and editors truly value when they work with me, I’ve learned that sometimes “good enough” is actually great, especially if it allows for time to tackle other things. I used to overthink and worry about things that ultimately were completely fine. I would often ask my colleagues their opinions before I would send something to an editor or clients, etc., which took more time away from other work. Motherhood has taught me to trust my instincts and feel more confident in my decisions. At the end of the day, if I can keep a human life happy, healthy, and thriving, and still perform my job with little-to-no sleep some nights, I should not sweat the small stuff. On any given day, what are the biggest challenges you face at work? JCW: The overarching challenges tend to be the changes in the retail landscape and with the consumer and economy, and how that directly impacts the fine jewelry industry and wholesale markets. From a PR and marketing perspective, the biggest challenge is that “free publicity” is becoming rarer, and although there is a vast amount of media opportunities from magazines to digital media, influencers and celebrities, it’s become a pay-to-play landscape. All luxury markets (accessories, fashion, fitness, wellness, beauty, auto, etc.) are extremely competitive for brands, so the company must do something to stand out above the rest. Staying on the forefront and being creative on tight budgets is no easy endeavor. JCW: 100% FAMILY—my husband, daughter, our parents, and siblings, our extended family, and network of friends. Other things that help keep my life in order (although not always practiced) include working out, eating healthy, and turning off technology from time to time. Overall, the most meaningful thing in my life is watching my baby grow and discover the world every single day. 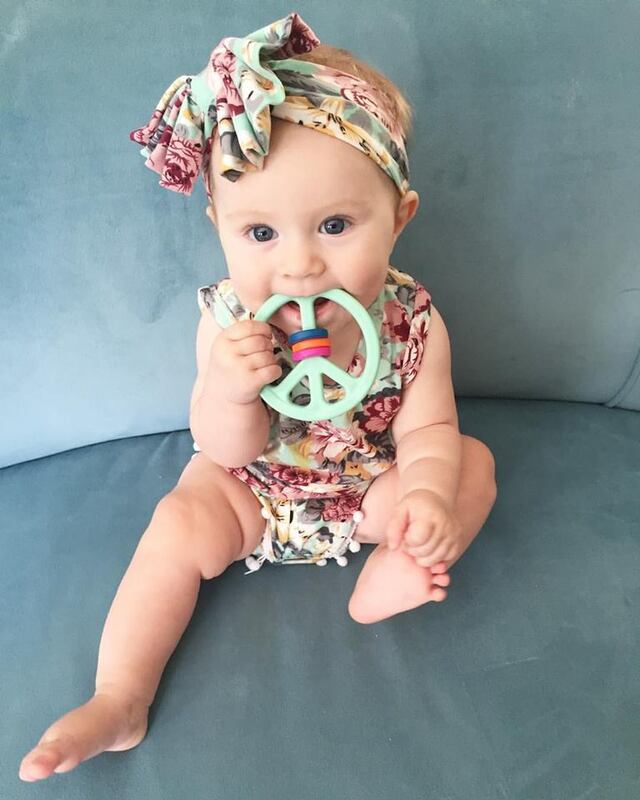 Baby Kira will no doubt grow up with a strong role model to learn from. Do you plan to talk to her about your career as she gets older? When do you plan to start? JCW: Absolutely. My parents, who are now both retired (mom was a teacher and dad was a land surveyor), were both extremely hard-working and focused on their careers, but the priority was always my sister and me. They led by example and I hope to do the same. I have a fun children’s book, Rosie Revere, Engineer, by Andrea Beaty that I read to Kira now. One day, I hope she’ll ask me questions, and I plan to have an open dialog about how important it is to dream big, and to go after your dreams by putting in the hard work to see it come to fruition. JCW: Recognizing there’s no such thing as true balance is step one! Step two: Make to-do lists and prioritize what you need to focus on. Step three: Say yes when it matters, and no when it doesn’t matter. JCW: Be active in industry events and organizations, but also join a mom group outside of work so you vent and talk all things baby and parenthood. JCW: Hot showers, long walks with my sister and Kira in the stroller, massage from my husband, a glass of rosé, and pretty much any BRAVO TV show (mindless-yet-entertaining, like Real Housewives). I’m the only person in the entire world that can give Kira a happy mother.